What Are Directors Called in an LLC? 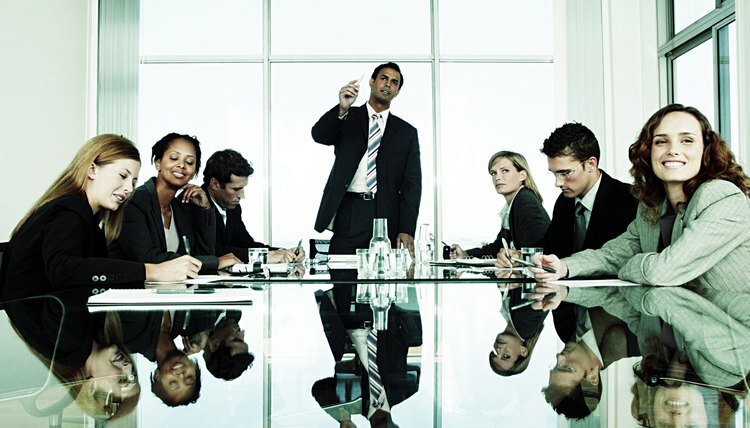 Unlike a corporation, an LLC does not have a formal board of directors. LLC owners are called "members." LLCs should strongly consider authorizing a board of "advisors" which functions like a classic board of directors. While an LLC can have one or more managers who are also employees, they may also have "managing members" who serve the function of a typical board of directors. Most people who function as directors in smaller LLCs are also members, or owners. Since the owners tend to have both money and time invested in their LLC, serving as de facto directors is a natural function. Even if there is a named managing member, other members, unless prohibited by the operating agreement, have input into directing the operations of the LLC. If LLC members want certain people to become official LLC advisors, they can attract valuable individuals who are not members of the company to act as directors. However, if they are not currently members of the LLC or close family or friends, the LLC may need to create some incentive to attract the advisors, and must offer these valuable individuals a good reason to serve as advisors and perform the functions of a corporate board of directors. If the LLC has good cash flow, you may want to establish a stipend or fee for your directors/advisors to serve, attend meetings and offer valuable input. In other circumstances, consider giving your advisors equity, or ownership, in the LLC, making them members. However, think carefully about this option, as you'd be giving your advisors a high level of control. You might not be comfortable with this option, as your advisors are also owners, with all rights and privileges thereof. Since the original purpose of an LLC was to offer personal asset limited liability to the participants of a partnership, this structure was created to mirror small groups that typically formed partnerships. The limited partnership, or LP, format originally attempted to satisfy the desire to limit liability and, in some situations, still works this way. However, the members of an LLC have more personal asset protection than partners. LLC directors, or advisors, who are also members are often more willing to serve because they receive this added limited liability protection.